I. The Christian has always had a respect for the law. 1. This has perhaps arisen out of the relationship between the law of God and the Christian. A. Obedience to God's law has always been stressed. Rom. 13:1-7; 1 Corinthians 6:1-11; 1 Tim. 2:1-2; 1 Pet. 2:13-17. B. This has been recognized by those charged with enforcing the law in the selection of juries; prosecutors recognize that members of the Lord’s church respect and enforce the law. 2. This has perhaps arisen from the instruction that God has given to the Christian to be subject to the "powers that be." II. At the same time that Christians have always had a healthy respect for law, there has also been a rather high level of suspicion of the law and those who practice it. 1. It has perhaps arisen from the fact that there are and have been dishonest lawyers through the years. 2. This has perhaps arisen because of the teaching of Paul in 1 Corinthians chapter 6 concerning a brother going to law with brother. 3. It has perhaps arisen because of misunderstanding of the nature of our legal system and the function which lawyers play in that system. BODY: - A look at the Christian and the Law. A. Maid who didn't think the same man could be both of them. B. Observing an epithet on a tomb stone which read, "Here lies a lawyer and an honest man" the observer said that he did not know that two men could be buried in one grave. 2. Of course, all professions and occupations from plumbers to preachers have members of whom they are not proud. A. It is also true that there are honest people in all otherwise honorable occupations and professions, including lawyers. B. How I was hired at Liddell, Sapp. 1. I emphasized to the hiring partner that one thing I would never do for a client is lie. 2. The hiring partner responded that that was good because if I did I would not do it there. 3.It is not difficult for a Christian to be a lawyer. A. Paul not only knew Zenas, Titus 3:13, but encouraged the brethren to be of assistance to him. B. He or she will be exposed to temptation to immorality other than dishonesty. C. He or she will be tempted to step over the line. D. He or she may have only personal integrity to guard against running with a multitude to do evil. Exodus 23:2. IV. What is the nature of our legal system and what is the duty of a lawyer in that system? 1. Our legal system is based upon an adversarial approach to the search for truth. A. We recognize what adversaries are. c. Sports such as football or baseball. B. Lawyers operate on the same principles. 2. As an adversary, I am obligated to present the case most prejudiced in my client's favor, consistent with truth. A. I have an ethical obligation to do so. B. I have an ethical obligation not to be dishonest, not to withhold evidence that has been properly requested and is otherwise discoverable, and to prevent my clients from doing so. C. I am not doing my job when I become a seeker of justice; justice is the product of the adversary system. D. This is true even when the party is "guilty" in our eyes. a. Our system does not provide that one is "innocent" until proven guilty; it provides "not guilty" under the law until proven guilty under the law. b. Even the guilty are entitled to have their guilt established under the law - a right provided for the innocent, but enjoyed by the guilty as well. V. Can a Christian go to law with a brother? 1. An overview of 1 Cor. 6:1-11. A. v. 1 - Paul issues a strong prohibition in regard to the Corinthians' going to law before the unrighteous and not before the saints. 1. This verse emphasizes their lack of a sense of shame with regard to their practice. 2. Paul clearly states that it was possible for them to go to law before the saints, but in what way, or in what sense, could this be done? 3. Paul refers to arbitration between two brethren in private disputes. a. Differences between brethren do arise and those differences do need to be settled; failure to do so prolongs and increases the problem. b. A congregation ought to make arrangements to assist brethren in settling their disputes of the nature under consideration here. c. Every Christian should always be careful to guard and protect the influence of the church. B. v. 2 - He explains that since saints shall judge the world, they are certainly able to judge in the smallest matters. 1. This verse clearly shows that the world is to be judged, that the saints have a role to play in the judgment, that since the saints are to be involved in judging the world they are certainly capable of judging in “the smallest matters,” and that there are at least two areas of judgment in which the saints have part – the world and the smallest matters. 2. Some refer this judgment to the final judgment; others refer it to the judgment that is pronounced by the daily lives of Christians, as illustrated by the life of Noah. Heb. 11:7. C. v. 3 - He explains further than since the saints shall judge angels they are certainly able to judge things pertaining to this life. D. vv. 4, 5 - He seeks to shame them by asking them a question to which the answer was obvious: since you have to judge things pertaining to this life, you select those to judge who are of no account in the church? E. v. 5 - He stresses the point that among them could surely be found one wise man who would be able to decide between his brethren. F. v. 6 - he rebukes the brethren for going to law with brothers and that before unbelievers. G. v. 7 - He calls their practice a "defect." H. v. 8 - He prescribes a more honorable course - suffer wrong, be defrauded. I. vv. 9,10 - He stresses that the unrighteous shall not inherit the kingdom of God. J. v. 11 - He concludes by reminding them that some of them had practiced unrighteousness, but they had come to experience salvation in Jesus Christ. 2. It is clear from the passage that Paul is referring to a particular kind of matter - trivial cases, NIV. A. What is meant by “the smallest matters”? 1. Lenski describes them as related to “the course of our physical existence” and as “everyday affairs of life.” These were matters in which it was possible and even preferable to suffer the wrong, to be defrauded, to give in. 2. Conybeare and Howson refer to "private differences" and "the most trifling matters." They point out that both Greek and Roman law recognized decisions reached in private arbitration; therefore, there was no need for the Corinthian brethren to go before the heathen courts. a. Some suggest that inherent in the Greek describing the nature of the issue in dispute is that each had something against the other, and conclude that the passage has reference to all ordinary disputes between Christians. b. These were matters in which two brethren were involved in a dispute with each other – each having a charge against the other and each having a mutual interest in a particular thing with something to gain and something to lose; the Greek denotes reciprocity. 3. Private disputes between brethren. a. Brethren must understand the importance of unity and peace and the sinfulness of division. b. Brethren must be careful to avoid differences and disputes, and must be anxious to settle differences immediately and without disrupting the peace and harmony of the church. 4. Paul is referring to private disputes and he instructs the brethren to settle these disputes by third-party arbitration – to select a wise brother to arbitrate. B. In addition to being trivial matters, therefore, these do not appear to be matters in which one was clearly right and one was clearly wrong. a. In which one brother who was clearly in the wrong was being charged by another brother who was clearly in the right. b. These were not matters in which one was making a charge against an entire congregation. c. These were not matters in which charges were being made against an eldership. d. These were not matters in which Bible teaching and sacred principles were being considered (it would not be right to give in). e. These were not matters which were strictly legal. 3. This being the case, 1 Cor. 6 does not prohibit a Christian going to court in situations where it is absolutely necessary to make an appeal to the law of the land. A. 1 Cor. 6 does not prohibit an eldership when all other efforts have failed to go to law to protect the life, work, and property of the congregation over which they serve as elders. 1. They would be derelict in their duties to fail to do so. 2. If it is true as some contend that such is not permitted, the deed to the property is not worth the paper on which it is written. B. Moreover, it is clearly the case that legal matters can only be handled by legal authorities. 1. Religious matters can be settled between brethren by brethren. 2. Gallio had the correct attitude when he said, “If indeed it were a matter of wrong or of wicked villany, O ye Jews, reason would that I should bear with you: but if they are question about words and names and your own law, look to it yourselves; I am not minded to be a judge of these matters.” Acts 18:14-15. C. The church is not equipped to handle legal matters and has no meaningful way to enforce them, except possibly through binding arbitration. a) Divorce. If the church decides, can it judge as to a proper property settlement, custodial rights, and similar entanglements between the parties; can it issue a decree of divorce recognized by the state or would any proceeding ultimately have to go to court in any event? b) Overdue debts. Can the church order and enforce the repayment of a loan or handle a foreclosure? Preside over a bankruptcy? Interpret lengthy contracts and determine various components in relation to the facts and events? Can it enforce the penalty provisions of contracts? c) Theft, invasion or privacy, libel and slander. Can the church have the talent or resources to resolve these matters and compel compliance with its decision? Can the church insure, as do the courts, due process of law and equal protection of the law? 2. God has ordained civil government to handle such matters. a) Christians are specifically forbidden to take the law into their own hands. Rom. 12:19.
b) The disciples should handle their own internal disciplinary matters and personal disputes between brethren, while the civil courts are the proper venue for any kind of legal differences, even those between Christians. c) When brethren try to practice law without a license, they violate both the moral and civil law. It is better to let the courts handle civil and criminal matters and to let the church handle religious matters. This is God’s order and it will have to be this way regardless of how we argue. VI. What is a Christian’s responsibility to government? A. Romans 13 teaches that earthly governments are ordained by God. 1. Augustine said that government is a necessary evil and that it is necessary because of evil. 2. Many theologians through the years have said in effect that human evil is the reason that corrupt government is better than no government at all. 3. The function of government is to restrain evil and to maintain, uphold, and promote the sanctity of life and property. 4. Given this function, Christians understand that they are called to respect whatever it is that God institutes and ordains. B. For God’s sake we are called to be model citizens, but there are occasions that we not only may but must disobey civil government. 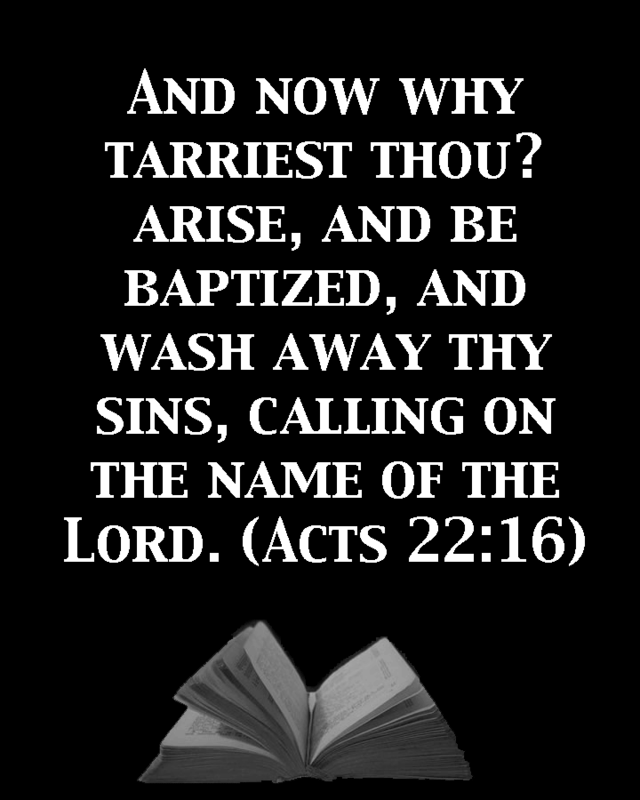 Acts 5:29. 1. Any time a civil government requires a Christian to do what God forbids or forbids what God requires, then the Christian must disobey. 2. However, our basic posture toward government is to be submissive and obedient citizens of the state. C. We are also given the duty of praying for earthly government that it may fulfill the tasks God has given them. VII. What is the relationship between government and the church? A. “Separation of church and state” is a legal and political principle derived from the First Amendment to the United States Constitution, which reads, "Congress shall make no law respecting an establishment of religion, or prohibiting the free exercise thereof . . ." The phrase separation of church and state is generally traced to an 1802 letter by Thomas Jefferson to the Danbury Baptists, where Jefferson spoke of the combined effect of the Establishment Clause and the Free Exercise Clause of the First Amendment. The phrase itself does not appear in the Constitution, but it has been used in several opinions handed down by the United States Supreme Court. 2. Historically, that meant that the church was answerable to God and that the state was answerable to God. 3. There was a division of labor – the church had its job to do and the state had its job to do. 4. The church is not to maintain a standing army, and the state is not to do evangelism, but they are both under God. B. Unfortunately, in today’s culture separation of church and state means separation of state and God, as if the state were answerable to no one but themselves – as if the government did not have to respond to God. 1. But God monitors governments. 2. God raises them up and brings them down. 3. Every human government is accountable to God and is responsible for maintaining its affairs with justice and righteousness. 4. When the government is no longer conducting its affairs justly it is the task of the church to be the prophetic voice and to call upon the state to repent and do what God commands it. VIII. Does this mean that Christians should work to have Christian values in public policy? A. Remember that in both our political and religious heritage there is a difference between the institution of civil government and the institution of the church. 1. It is neither the church’s task nor its responsibility to tell the government how to govern or to establish our religious preferences. 2. However, the state is not sovereign; it is subject to God; it never has the right to do wrong. B. Should the state fail to enforce ethical standards that are right for all people Christians should and must urge the state to stand for what is right. 1. No earthly government ever has the right or authority to rule according to its own preferences without being accountable to some ultimate standard of righteousness. 2. States can become corrupt and violate the standards of God’s righteousness, standards that are ultimately grounded in the character of God himself. 3. When they do that they will be held accountable by God. IX. Is it ever right for a Christian to participate in revolution? A. The fact that God ordains earthly governments does not mean that God endorses everything that earthly governments do. B. However, God does call upon Christians to obey government “for the Lord’s sake.” 1 Pet. 2:13-17. 1. If, however, a government goes far astray from God’s standards, how is God glorified by our obedience that that government? 2. When governments deviate from God’s standards the issue is whether Christians obey the law of God or participate in a spirit of lawlessness. C. Jesus, to whom all authority has been given in heaven and on earth (Matt. 28:18), has delegated levels of authority in various spheres – government, church, family, business. 1. When I am obedient in these areas I am honoring Christ. 2. When I am disobedient in these areas I am dishonoring Christ. D. Is it ever justifiable to engage in revolt? 1. This was a crucial question at the time of the American Revolution and theologians fell on both sides of the question. 2. Those who affirmed the rightness of the American Revolution said that the only time it was justifiable to revolt is when the government itself becomes lawless and functions in an illegal or unlawful manner. 3. In American the revolt was against unlawful taxation that was taking place. 4. There was and may be disagreement on that principle, but most religious bodies recognize the existence of a just war; the debate is over which wars fall into that category. VI. A Christian can be a lawyer. VII. A Christian can be confident that our legal system with its adversarial approach can and, more often than not, does produce justice. VIII. A Christian can invoke the law when necessary, even against a brother. IX. The Christian’s responsibility to the government is to be subject thereto for the Lord’s sake. X. Both the government and the church are subject to God and each is to perform its divinely appointed function in keeping with the God’s law. XI. A Christian may participate in revolution against a government when the government itself becomes lawless and functions in an illegal and unlawful manner.